Experience: I would rate my experience with your team as a 10. Steve was very professional and helpful to me from the time I stepped into your building until I drove off in my new car and continues to be available for any further assistance I may require 🙂 He assisted me in the process of selecting a vehicle that was right for me and kindly accommodated all of my questions and preferences. I felt that I was treated with sincere professionalism and greatly appreciate that. I have also had inter-action with a few other members of the team (ie Megan) and found the service to be equally professional, very accommodating, and timely. 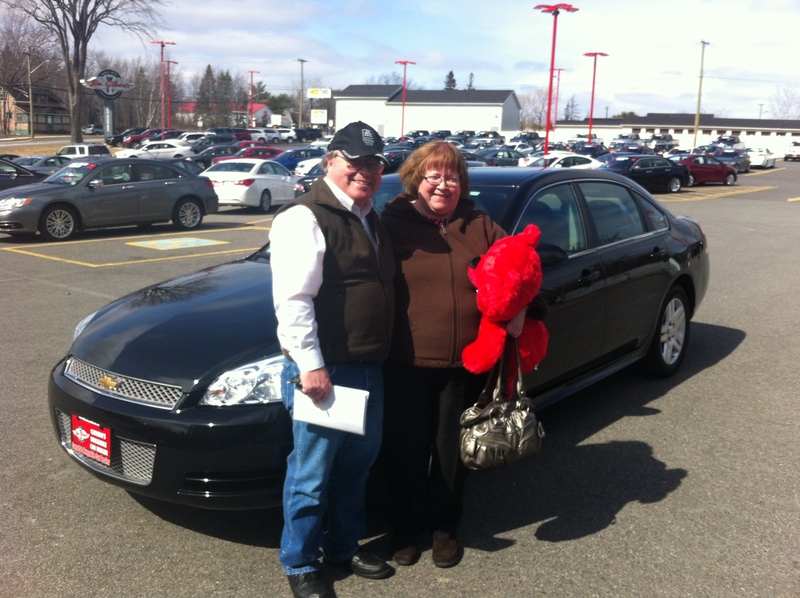 Thank you Margaret for your confidence in Jim Gilbert’s Wheels & Deals- Canada’s Huggable Car Dealer. Experience:I’d have to say 10.Very happy with our new wheels! Great service all around. Thanks to John for getting things done so quickly for us as my time home from work was limited. Future Referrals: I will most definitely recommend Wheels and Deals to anyone I know looking for a vehicle. Thank you Frank for your confidence in Jim Gilbert’s Wheels & Deals- Canada’s Huggable Car Dealer. Experience: I would rate my service at Wheels and Deals 10+ . John was amazing!!! I called him at 9:30am to explain my situation regarding my need for a new vehicle and he had my driving off the lot that afternoon in a 2013 Kia Forte. It was amazing… no hassle and no fuss. This is the second vehicle I bought from Wheels and Deals. I’m am a “forever” customer! Future referrals: I would definitely recommend Wheels and Deals to my friends. In fact, I already have many times. 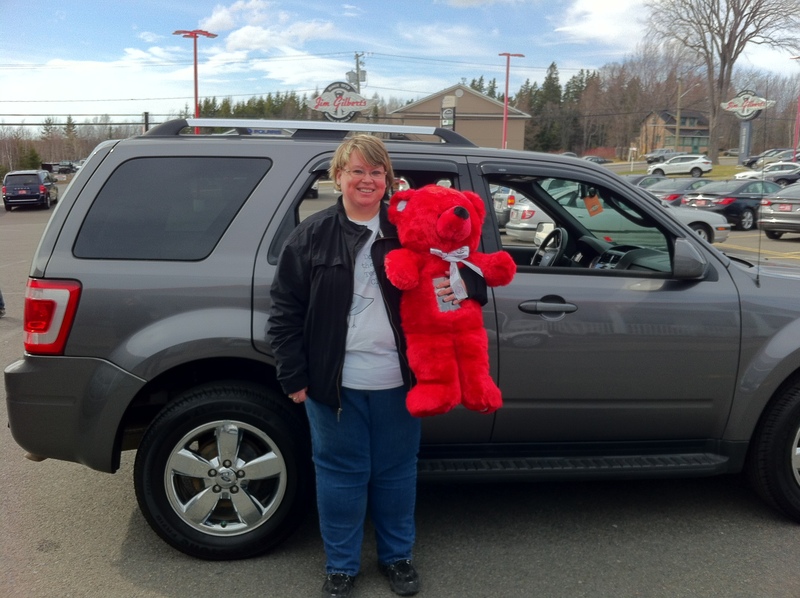 Thank you Catherine for your confidence in Jim Gilbert’s Wheels & Deals- Canada’s Huggable Car Dealer. Referral: Yes we would, Wife is getting ready to soon buy again. Thank you Peter & Michelle for your confidence in Jim Gilbert’s Wheels & Deals-Canada’s Huggable Car Dealer! Douglas… 10 – When we started looking again for a car we went to new and used dealers all over town. For us, we enjoy driving through the lot, getting out and looking at a particular car and then going on our way. At every other dealership the moment I stepped out of the car someone was there pressuring me for information and trying to pawn a card of theirs off on me. I was even approached as I was driving through a lot and had to stop as he stood in front of my car. The times I came to Jim’s I was able to drive through without hassle, Salesmen were always visible and I knew they would be available if I had any questions. Visible but not pestering, that’s why I come back. I’ve bought 4 cars from Jims over 6 years and will trade these 2 in next year. Even though it’s a couple years between dealing with John it’s like we just talked yesterday. Definitely a 10. I purchased my first vehicle through John when I first moved to the area in the fall of 2008. I was so impressed that he never made me feel pressured to make the purchase. He patiently gave me the time to make the decision. I vowed then, that the next time I was to purchase a vehicle, I would seek him out. So, here we are 4 1/2 years later and I did just that. Once again, there was no pressure. I met with him and explained what I was looking for and in less than a week he had one for me to test drive that surpassed my expectations. I am so pleased, this is the nicest, classiest vehicle I have ever driven. and I am a repeat and continued customer! Thank you for your confidence in Canada’s Huggable Car Dealer, hopefully JOHN ELIAKIS fulfilled your expectations and you enjoy your 2010 Dodge Caravan from Jim Gilbert’s Wheels and Deals. 1- How would you rate your experience with our team? From 1 below average to 10 above average. Feel free to elaborate. We have always found the service at Wheels and Deals to be superb. I would rate with a 9. You never feel that you can’t ask a question or raise a concern as they will always make sure it is taken care of. ThankYou Brian and Welcome to the family! My car buying experience was most certainly a 10. You have a very attractive dealership facility and everyone that I came into contact with was extremely helpful, positive, and professional (I personally know a bit about the car business as for many years I worked as a service manager/service operations director for several dealerships). I would definitely recommend Wheels & Deals to anyone I know. As a matter of fact it was through a co-worker that I got a good reference about your company which was the start of this vehicle purchase. The first thing that brought me to consider your business was word of mouth from satisfied buyers. Then I was completely blown away by your web site, it is awesome! You have the best presentation and selection of low kilometer vehicles that I have ever seen. Finally, a big THANK YOU to John Eliakis for his help with the deal! Q-Thank you for your confidence in Canada’s Huggable Car Dealer, hopefully JOHN ELIAKIS fulfilled your expectations and you enjoy your 2012 Volkswagen Jetta from Jim Gilbert’s Wheels and Deals.